Born in the azure blue lagoons of the South Pacific, these world-famous pearls embody the spirit of aloha and are revered for their intense rainbow of colors, their glowing luster, and their significant size. One hundred times more rare than white pearls, Black Pearls are considered to be one of the rarest gems on Earth. Although they are called Black Pearls, the colors range from iridescent emerald green, sea green, pale silver blue, melon, peach-copper, pink, cranberry, bordeaux, indigo and aubergine, to dark green and deep midnight black. Shimmering, iridescent, exotic and rare, Black Pearls are the ultimate gift of love and romance. Tahitian Black Pearls are born of the giant black-lipped oyster (the Pinctada Margueritafera). 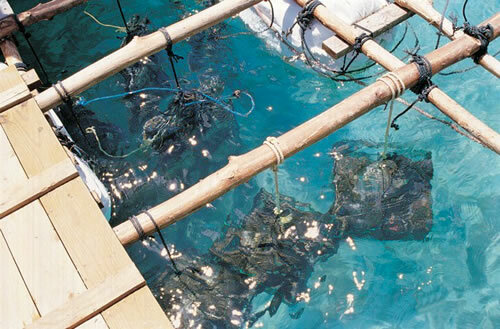 Lovingly tended on private Tahitian island atolls, the Black Pearl grows in the shell for two to five years before it is carefully harvested. Black Pearls are prized for their large size, glorious luster, and rainbow of colors. 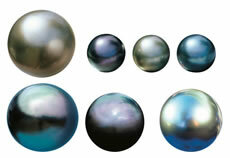 We at the Black Pearl Galleries hand select the most lustrous, colorful Tahitian Black Pearls available. 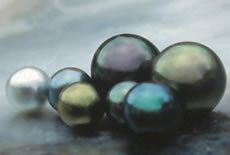 Several criteria are used to determine value in Black Pearls. The Pearls are individually graded according to size, luster, shape, color, orient, and surface perfection. Click here to learn more information about VALUE.